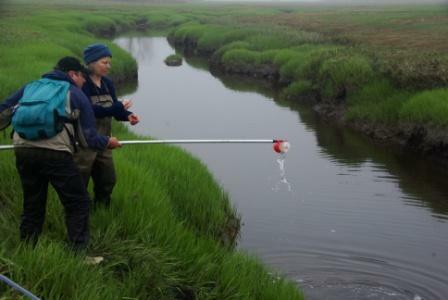 As Deegan explains, the breakdown in the creekbanks of the nutrient-enriched marsh happened in several stages. 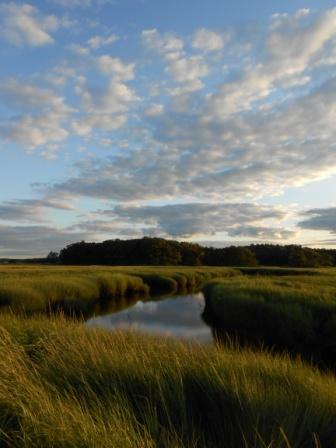 In the first few years of the experiment, the nutrients caused the marsh grass – primarily Spartina cordgrass (Spartinaspp)  – along the creek edges to grow greener and taller, in a process similar to what happens when you add fertilizer to your garden. These taller Spartina cordgrasses, however, produce fewer of the roots and rhizomes that normally help stabilize the edge of the marsh creek. 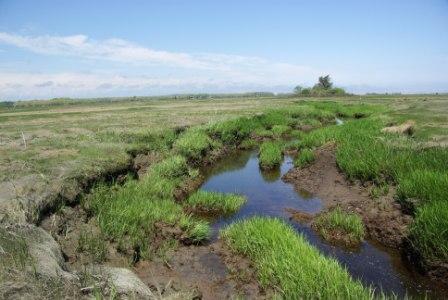 Added nutrients also boosted microbial decomposition of leaves, stems, and other biomass in the marsh peat, further destabilizing the creek banks. About the Author: Paige Brown is a 1st year PhD student in Mass Communication at the Manship School, Louisiana State University. In her research, she focuses on science and environmental communications and message effectiveness. She also holds B.S. and M.S. degrees in Biological and Agricultural Engineering from Louisiana State University. Paige is the author of the popular science blog From The Lab Bench, hosted on SciLogs.com. Although a scientist by trade, she is a writer at heart. You can follow her on Twitter @FromTheLabBenchand on Facebook. Follow on Twitter @FromTheLabBench.